Jaipur: Australia's Steve Smith made a modest return to the Indian Premier League Monday, scoring 20 for his side Rajasthan Royals as they lost to Kings XI Punjab by 14 runs. Big-hitting Chris Gayle smashed 79 off 47 deliveries to steer Kings XI to 184 for four, a total they defended by restricting Royals to 170 for 9 in the Twenty20 tournament at Jaipur. The match though was marred by Jos Buttler's run out when spinner Ravichandran Ashwin took the bails off at the non-striker's end while the batsman was backing up. The dismissal widely known as 'mankading' is considered to be against cricket's spirit of fair play and England's Buttler, who scored 69 off 43 deliveries, walked dejectedly back to the pavilion after an argument with Ashwin. The term -- used when a bowler runs out a non-striker before delivery -- was coined 70 years ago when Indian all-rounder Vinoo Mankad twice ran out Bill Brown at the bowler's end during India's tour of Australia in 1947. "No real argument to that. I didn't even load and he left the crease. It's always been my take on it, because it's my half of the crease," skipper Ashwin said in defence of his action -- the first time a player has been 'mankaded' in the IPL. "We ended on the right side of it but those things are game-changers and batsmen need to be wary of it." However Royals skipper Ajinkya Rahane played down the controversy and said his team will take it "sportingly". "We are not supposed to comment on a controversial issue. The match referee will take the call," he said. Smith, who along with compatriot David Warner made his return to the IPL after missing the previous edition due to a ball-tampering controversy, walked out into a charged field of play. The former Australia captain took time to settle down before hitting England paceman Sam Curran for a four and six in one over. Curran, who took two wickets, got his revenge in his very next over as he sent Smith trudging back to the pavilion with KL Rahul taking a sharp catch while running to his left from long-on. Bowlers soon struck back as the Royals batting collapsed from 148-2 to 164-9 as a disappointed Smith looked on from the dugout. On Sunday, Warner enjoyed a run-filled comeback to the world's most popular T20 league, scoring 85 off 53 balls for Sunrisers Hyderabad, who also lost their opening match. Bans from state and international cricket for Smith and Warner end on March 28 but the duo are keen to get among the runs in the IPL, ahead of the 50-over World Cup starting in May. 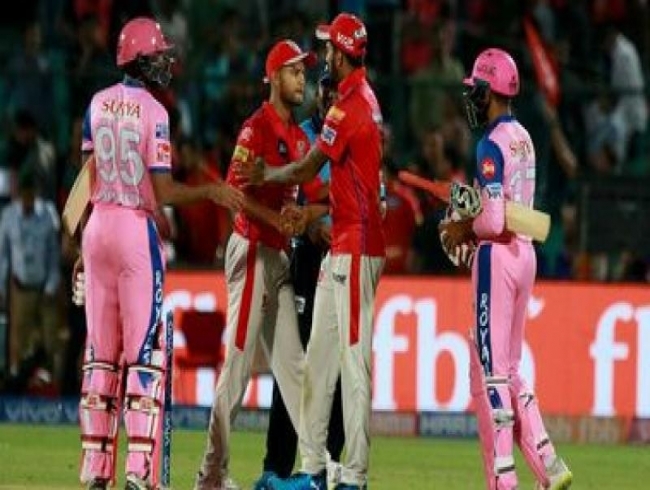 The suspension did not include club games but IPL's governing council decided not to allow the disgraced duo in the 11th edition of the T20 league last year in a bid to avoid controversy. The pair were banned for cheating in a Cape Town Test in March last year along with teammate Cameron Bancroft, whose nine-month ban has already finished.